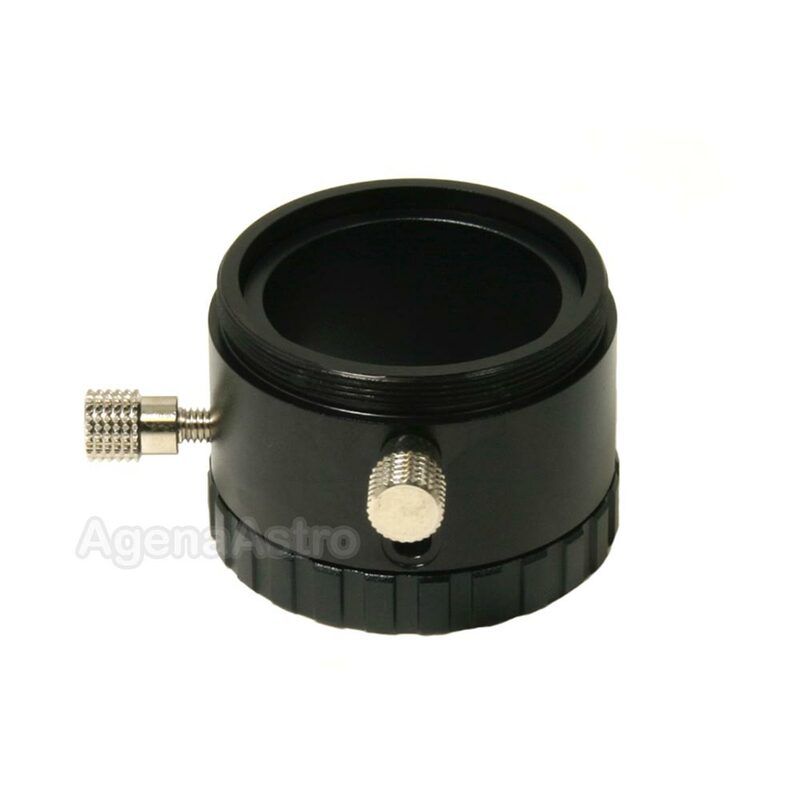 This versatile adapter functions as a variable length T-thread adapter as well as a T-thread to 1.25" eyepiece holder. The adapter consists of two parts. The inner part has a female T-thread on one side and a 1.25" eyepiece holder/barrel with a single thumbscrew on the other. The total length of this part is 29mm/1.14". The outer part is is an adapter that cannot be used by itself, but slides over the inner part. This combination functions as a variable T-thread spacer with a male T-thread on one side and a female T-thread on the other. The total length of this combined adapter can be varied between 31.5mm/1.24" and 42.5mm/1.67". The outer, sliding sleeve clamps down on the inner adapter with another thumbscrew. Of course, this is not a conventional "focuser" despite Baader's product name for this item, but it can be used as one if you slide the inner eyepiece holder manually and lock it into place.